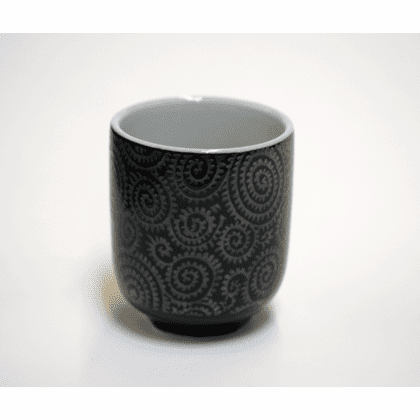 Home | Ceramic Tea Cups & Mugs | Sushi Cups | Silver Arabesque Sushi Cup, 8 oz. Ceramic etched arabesque leaves. This ceramic tea cup is 3 inches in diameter and 3-5/8 inches tall. It holds 8 ounces.